“Pregnancy is an indescribable journey and expecting your first child is full of so many emotions. It is full of hope for the future, excitement, expectations, and plans. Boy, did I have plans, so many plans. What we would do, where we would go, days spent with friends, running around Disneyland, playing at the beach. The possibilities were endless and I could not wait to experience it all with my baby! Little did I know, all of that planning would be in vain. Our lives were about to take a turn that we never could have planned for. When my daughter was born, she was perfect. Riley Olivia – she was pink, and crying so sweetly, a beautiful baby girl. The only thing we couldn’t see was the battle she was fighting inside her little body. 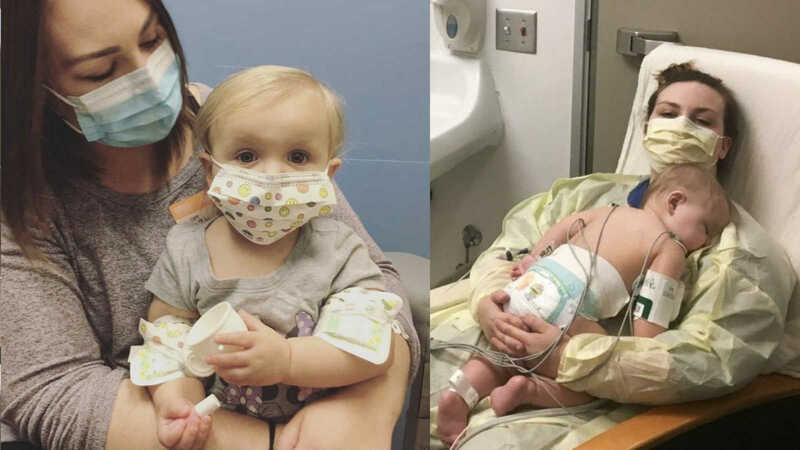 Shortly after her birth, we learned Riley was born with a RARE life-threatening disease called Severe Combined Immunodeficiency (SCID), more commonly known as Bubble Baby Disease. 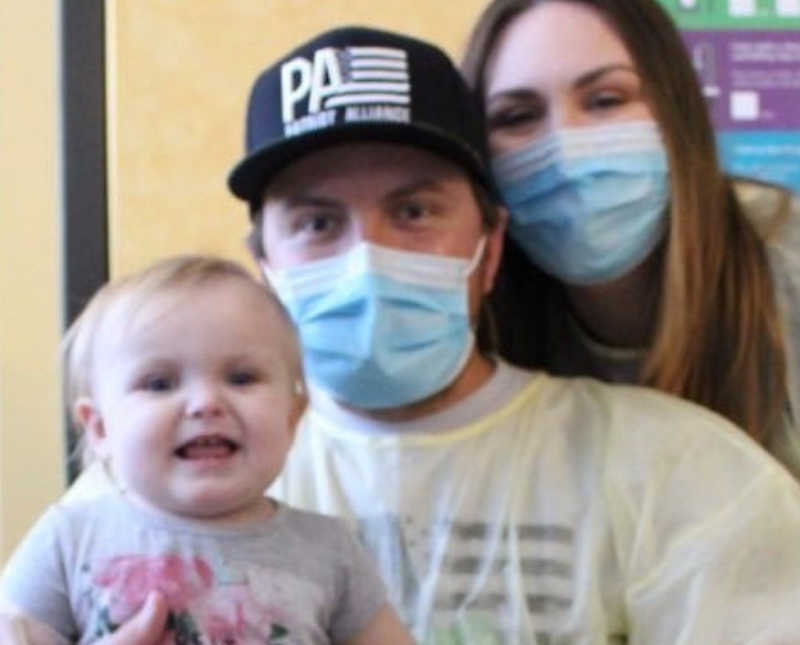 Meaning, she was born with no immune system, no way to fight any sort of infection. Something as simple as the common cold could be life-threatening. You know, like that movie, ‘Everything, Everything’ or ‘The Boy in the Plastic Bubble’ except this is real life. As a first time mom, it flipped my world upside down. A lot of the dreams I had of being a new mom were taken away from me with one phone call. I remember that phone call as if it happened yesterday. I can picture what I was wearing, exactly where I was sitting, looking at my mom across the room in confusion. It brings me to tears even now, as I write, holding my daughter as she sleeps. I thought her pediatricians office was calling to confirm her first visit, instead it was the pediatrician herself telling me that her California Newborn Screening results came back flagged for ‘something called SCID.’ Instant panic set in as I began googling, researching this so-called ‘SCID’ all while I was being told my daughter likely has a rare, life-threatening disease. A disease where, if not caught and treated early on, s unlikely a child would live to see their second birthday. 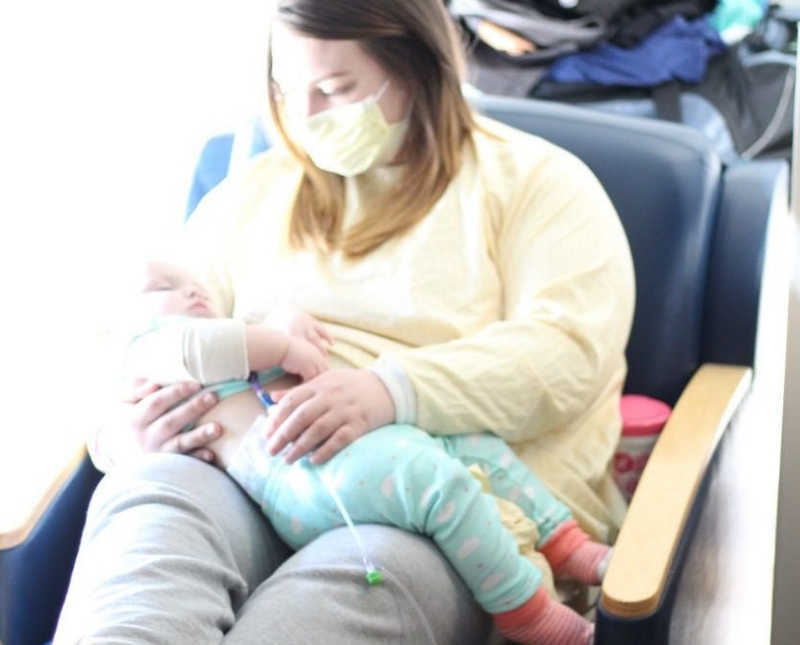 We were forced into protective isolation, I was told to stop breastfeeding right away because I could pass a dangerous virus to her through my breast milk. Who knew something so natural and so beautiful, designed to nourish and protect your child could be so harmful. I was devastated. 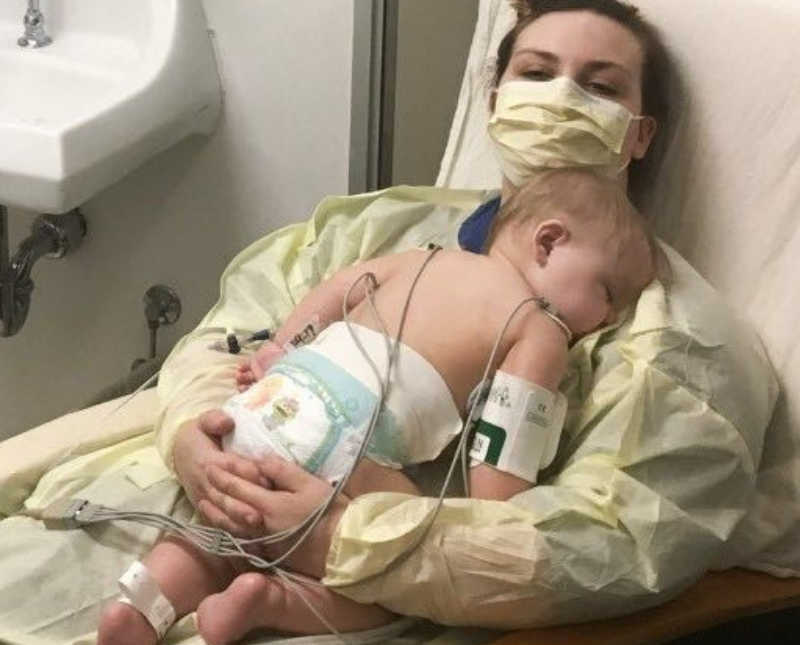 Then came the instructions to not kiss your baby, do not allow any visitors, bring your baby to the hospital right away for emergency blood work and observation – keep her covered. I can clearly recall those first moments of diagnosis – crying, scared, shocked, numb. All I knew in that moment was that I was willing to do anything and everything in my power to keep my daughter alive and healthy. We were told the only treatment to save her life would be a bone marrow transplant and she would most likely need to go through chemotherapy and the sooner she received treatment, the better. The search began for a donor but a perfect match was never found. Another punch to the gut and at the same time, a little ray of hope started to peek through. 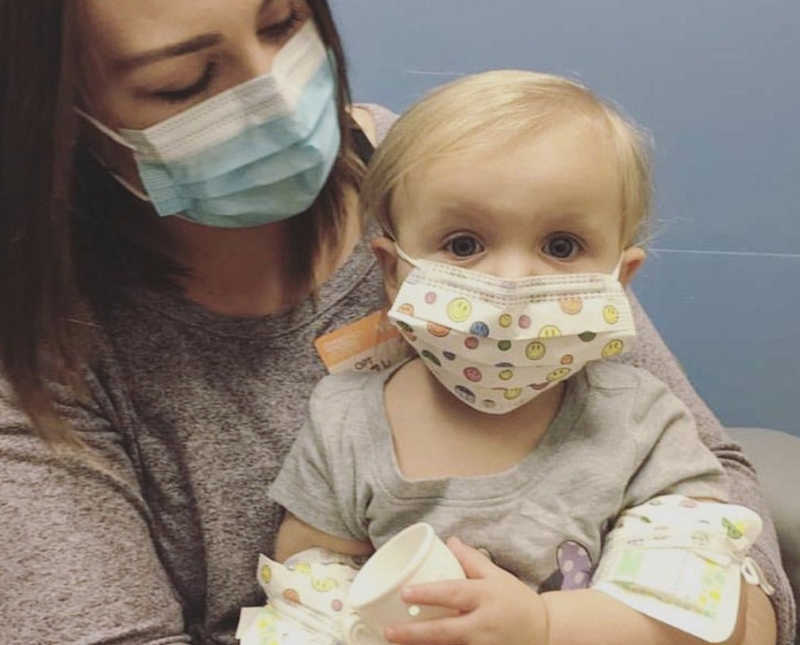 That same day, more blood work results came back and we learned that her specific form of SCID allowed for her to be part of a Gene Therapy Clinical Trial. A trial that didn’t require a donor for a transplant, they would be able to harvest and correct her own stem cells in a lab and return them back to her after two rounds of chemotherapy. 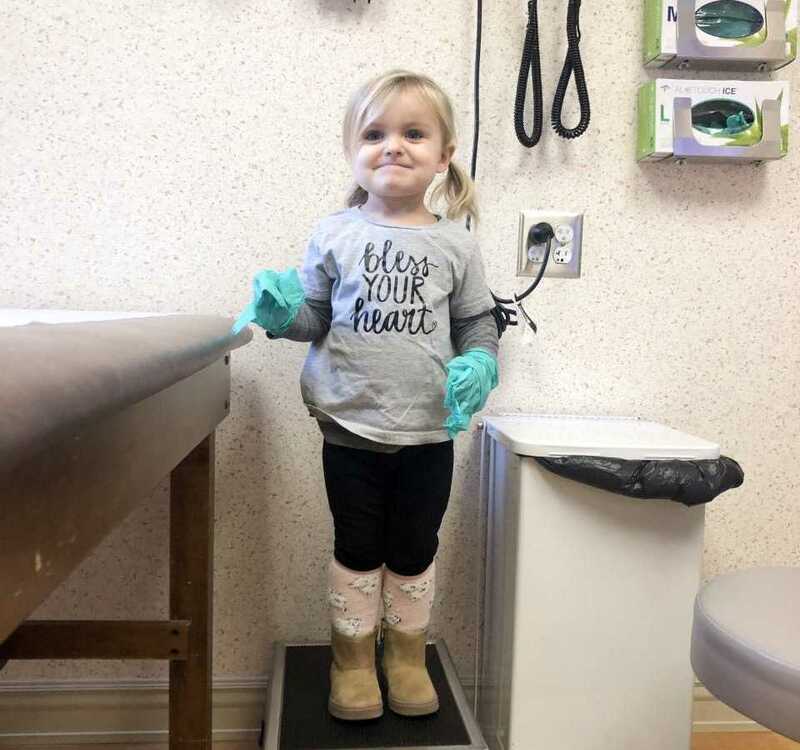 This was incredible news, and as nerve wracking as enrolling your child in a clinical trial was, we were hopeful and anxious to get her treatment started. However, it took just over a year to get there. A year of waiting in protective isolation, a year of worry and fear she could catch something dangerous before she even received treatment. Life quickly became sedentary, having to cut ourselves off from the outside world for the sake of keeping our daughter alive. Forced to remain isolated from family and friends. Grandparents, Aunts, and Uncles not being able to hold the new addition that they love so much and waited so long to meet. Only being able to see her, meet her, and interact with her through a window. So close, yet so far. The wait to get to her Gene Therapy Transplant was long, and it was difficult. Being so isolated made it feel like there was no end in sight. There were a lot of good days, and a lot of hard days. 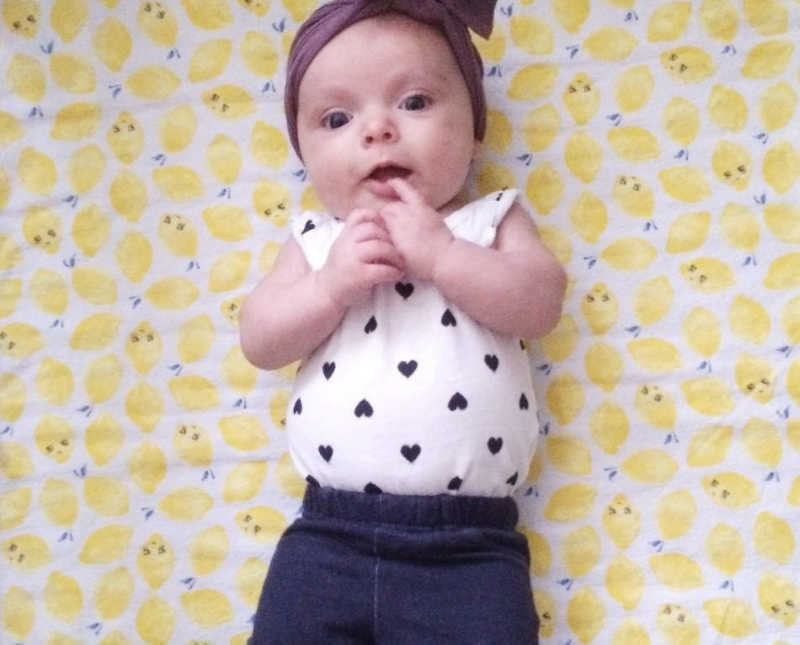 On one hand you’re so thankful that your baby appears to be healthy, she’s alive, and there is hope for a cure. On the other hand, you are devastated, mourning the loss of the expectations you had of being a new parent. Feeling sick that your innocent child may not ever get to experience the childhood she so deserves. Asking why your child, why your family. Something so rare, you never knew it existed. The battle has been overwhelming at times, so many highs and lows. A roller-coaster of emotions where half the time you don’t know what to do with yourself other than just go through the motions of the day. 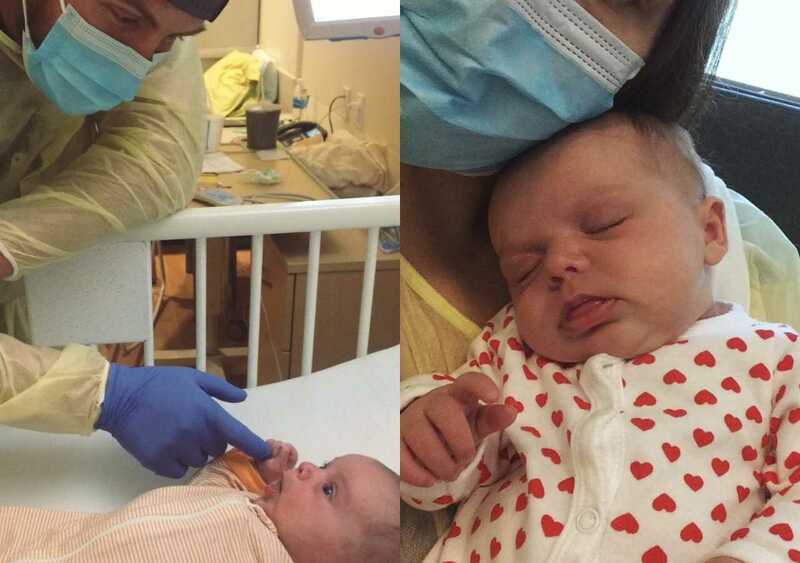 My daughter’s diagnosis turned me into someone I didn’t recognize. I am a laid back, go-with-the-flow person by nature and in a moments notice that all changed. I had to fear everyone and everything, paranoia at an all time high – one mistake, touching one wrong thing or coming into contact with the wrong person, one selfish move on my part could put my baby’s life at risk. Something as easy as going to the grocery store felt like an impossibly risky task. I had no energy to focus on anything else and it all took a toll on me physically and mentally. After being strong and fighting alongside my daughter all day everyday, I’d often find myself breaking down and crying in the shower, releasing the emotions from the day. It was the only time I didn’t feel the need to be strong for everyone else. But the truth is, no matter how hard it got, I would live it all over again if it means I get to have my daughter by my side. 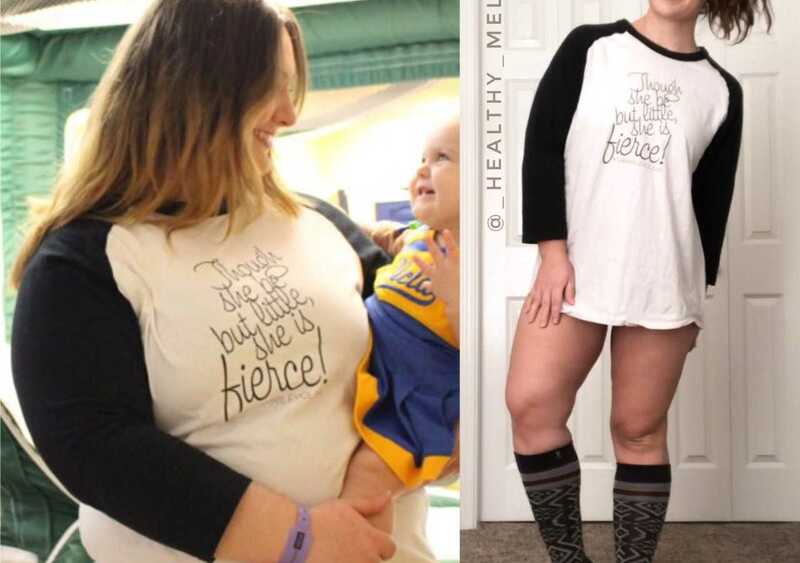 Not long after Riley’s journey through SCID began, I started to rapidly gain weight. I let my emotions control me and became so unhealthy. I let my mental and physical health deteriorate to the point I found myself in the emergency room in severe abdominal pain. It was at that moment something clicked, and I realized to take care of my daughter and keep her healthy, I needed to also take care of myself. My health was starting to interfere with how I was able to care for her. I was running on fumes and needed to make changes if I wanted to continue to be there for her. Making those changes wasn’t easy. Riley was fresh out of transplant, still recovering from chemotherapy and still no immune system. No matter what obstacles were in place, I knew I owed it to my daughter to at least try. So one day at a time, I put my best foot forward. Controlling the things I could, I started by making healthier meal choices and taking Riley on walks around the neighborhood. I made an effort everyday to remind myself of all the good, all that I have to be thankful for. My new mindset has made all the difference, I’ve learned a valuable lesson in self-care and since my ER visit, I have lost 90 lbs through diet and exercise. I have found passion, outside of caring for my daughter, in sharing about our journey through Instagram. My mission is to encourage and support those struggling with their own health. To let people know it is ok to get lost sometimes, it is ok to lose sight of yourself and it is never too late to start fighting for yourself. There are people who understand and can relate, someone who is willing to listen and to help you through whatever it may be. 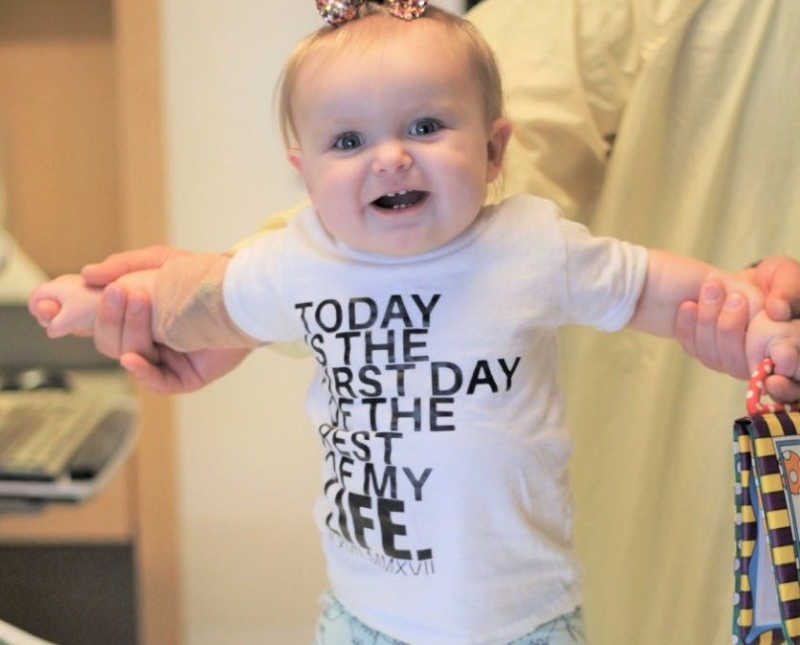 And then – Riley received her transplant, her second chance at life! I can’t even begin to describe the feelings of hope, excitement, and relief when that day came – Riley’s Life Day. Everything we worked so hard to get to, it was finally here and it was a beautiful day. Fast forward to today, nearly two years later, I am SO HAPPY to say that Riley is about to turn 3 years old and is THRIVING! Her Gene Therapy Transplant was successful and her little body has been working hard at growing it’s very own immune system. She even caught and overcame her very first cold! She still has some restrictions to keep her healthy, she has yet to play with other children, she can’t yet be in crowded public spaces, but she gets to explore this beautiful world. The joy on her face when she goes outside is priceless, her excitement over the smallest of things like flowers and birds, clouds and rocks, the look of amazement when it rains or snows. All of the things we take for granted every single day mean everything to her. She somehow understands just how special and meaningful life is, as though her battle has made her more aware of all the beauty that this world has to offer, and that makes every hard day worth it. This story was submitted to Love What Matters by Mel LeBlanc. Submit your story here. For our best love stories, subscribe to our free email newsletter. SHARE this story on Facebook or Twitter to give families fighting for their children strength and hope.